With a million and one things to organise for your upcoming wedding, you need to rely on a band that are professional, easy to deal with, and most importantly highly entertaining. 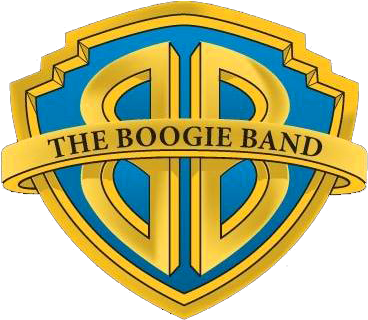 The Boogie Band are an experienced five-piece band who approach all weddings with the highest level of dedication. We are committed to a top class visual and sound quality, especially mindful of creating that special atmosphere for your wedding day and providing that extra level of class and professionalism for your celebration. When it comes to the everyone’s favourite moment – the newlyweds’ first dance – The Boogie Band will gladly play your chosen song and make your big moment glorious. The Boogie Band has catered for hundreds of weddings throughout Cork, Kerry, Limerick and nationwide, always making sure that both the newlyweds and their guests have the time of their lives. Apart from the greatest hits of the ‘60s, ‘70s, ‘80s and ‘90s and modern-day top-chart hits, they also spruce up the atmosphere with jives and waltzes that set the stage for a truly exciting adventure. The band will work closely with you to come up with a set list that you will love and that will keep all your guests dancing from the very start to the end of your big day. The Boogie Band know how to set the floor on fire and cater to everyone’s music taste, so you can be sure that all of your guests, no matter their age, will be on their feet, having a wonderful time. With the diverse age group at a wedding, we understand that a broad musical repertoire is required to cater for everybody’s taste, and ensure that all will find the performance highly entertaining. We will arrive at the venue at 8.30pm, aiming to start for 9.30pm depending on meal and speeches, as every wedding is different it is hard to pinpoint times. An early setup can be arranged at booking if required. The first dance at each wedding is a special and cherished moment. With 6 weeks notice to allow for rehearsal, we will be delighted to perform your chosen song, making that special moment all the more memorable. To check availability and fees for The Boogie Band for your wedding or event, simply complete the enquiry form below, and we will send you a custom quote within 24 hours.